In an ongoing effort to promote bird conservation in West Virginia, the Brooks Bird Club will be starting The BBC Chimney Swift Project beginning in the spring of 2019! At the BBC Fall Retreat of 2018, the BBC decided to fund the construction of five Chimney Swift (CHSW) towers. The towers will be located in five different areas of state. Each of the two BBC chapters and three BBC affiliates will construct a CHSW tower in their general area of WV. The towers will be placed in a public space that will be open to many visitors. The Chimney Swift is the only swift in the Eastern United States; a fascinating species that eats, drinks and mates on the wing! The swifts have amazing aerial displays, incredible fall roosting habits, and a long migration to Brazil, Peru and Argentina. It's also a bird in serious decline... Here in West Virginia like many other areas, Chimney Swifts need our help! Conservation can start with you... If you can help with The BBC Chimney Swift Project please let us know. ​At this point in The BBC Chimney Swift Project, we are looking for folks with some construction or a DIY background to help with the general building and erecting of the towers. 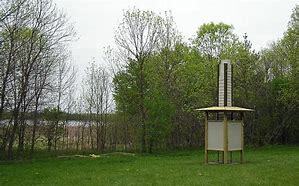 We do have the funding for the five towers, but if you know of a local business or someone who would be willing to donate some of the materials to construct a tower, this would make it possible for the Brooks Bird Club to fund more Chimney Swift towers in other parts of the state! Unlike regular "bird houses" that are only used for nesting and then abandoned, Chimney Swift towers are home to the family from the first day they arrive until the last day before they leave in the fall for migration. They are unable to perch as songbirds do. They must have a safe place to roost at night and to seek shelter in bad weather when the flying insects they feed on are unavailable. Typically 3 to 5 young are fledged each year, and occasionally there will be a second brood. The same pair will return each year as long as they survive the rigors of migration, and they can live as long as 12 years. Once a tower is established, it may also be used as a roost by dozens or even hundreds of birds. The towers also act as a focal point for conservation education -- especially with well-designed information displays. Because the towers are so visible, people want to know what they are -- most folks have never heard of Chimney Swifts. Finally, the plight of Chimney Swifts is quite dire. In Canada their numbers are down by more than 95%. They have been listed as threatened all across Canada and endangered in some of the maritime provinces. Extinction does not abide by national borders. Chimney Swifts are in serious trouble everywhere due to loss of habitat: first large hollow trees and now open chimneys. Obviously they are very adaptable, but suitable sites for them to adapt to must now be created. ​Tower construction can be great community project for an organization. They are also great Eagle Scout projects -- that is how many of the existing towers in North America have been constructed. Now more than ever, we all need to be involved in conservation in one form or another. Whether it's helping on a Christmas Bird Count, the Breeding Bird Survey or just counting birds at your feeders for The Great Backyard Bird Count. You can make a difference... Please help where you can!